Endurox R4 is the #1 recovery drink for serious athletes in all sports. Recover Faster. Recover Better. Come Back Stronger. 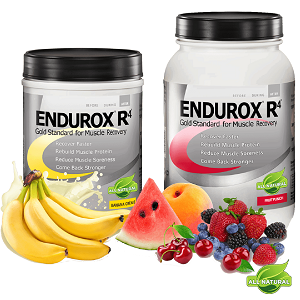 Endurox R4, the gold standard for muscle recovery, revolutionized the nutritional approach to muscle recovery. More than 18 peer-reviewed studies have demonstrated the superiority of Endurox R4 with its' patented 4:1 carbohydrate to protein ratio.